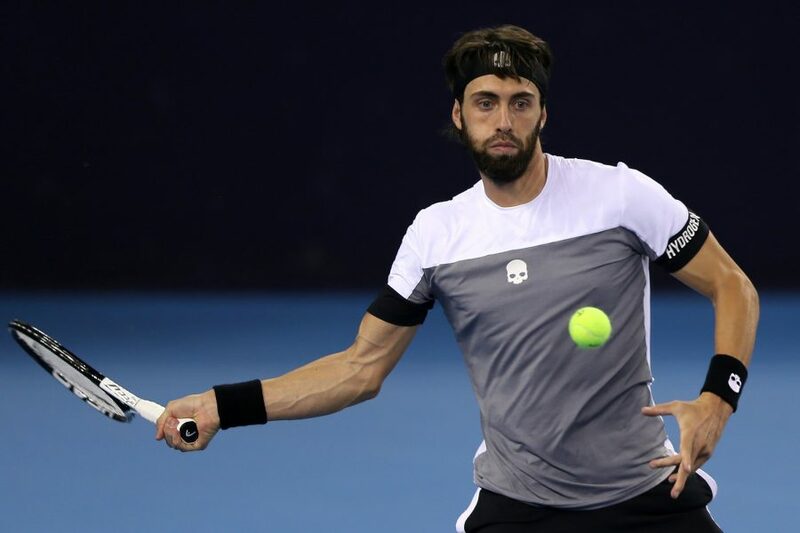 Georgia’s Nikoloz Basilashvili cruised past Denis Shapovalov 6-2 6-2 in just 58 minutes to reach the second round at the Shanghai Rolex Masters, the penultimate Masters 1000 tournament of the year held in the Qi Zhong Stadium. Basilashvili has climbed to a career-high of world number 23 after beating Juan Martin Del Potro in the final of the China Open in Beijing. The Georgian player lifted his second ATP 500 title of his career after winning in Hamburg last summer. He reached the fourth round at the US Open, where he lost to Rafael Nadal in four sets. Shapovalov came into the Shanghai tournament after reaching the semifinal in Tokyo last week. In the Japanese capital the Canadian player won three matches in three sets before losing to Danil Medvedev. Basilashvili dropped 12 points on serve and never faced a break point. In the first set Basilashvili earned a break point in the opening game but Shapovalov saved it after two deuces with an ace. The Georgian player earned his first break in the fifth game, when Shapovalov sent his forehand long, and went up a double break in the seventh game to open up a 5-2 lead. He hit three service winners in the eighth game to serve out for the first set at love for 6-2. The second set went on serve until the fifth game, when Basilashvili broke serve at 30 with a forehand winner to take a 3-2 lead. He went up a double break at love with a forehand error from Shapovalov. He hit four winners to serve out the match at 15 in the final game setting up a second round match against this year’s Madrid Mutua Open champion Alexander Zverev. Basilashvili has claimed the fifth Masters 1000 match win of his career. With this win Basilashvili has extended his winning streak to six consecutive matches and has improved his win-loss record to 28-25. Last year’s ATP Next Gen Finals champion Hyeon Chung beat Polish qualifier Hubert Hurkacz 6-4 2-6 6-1 to reach the second round, where he will face this year’s Roland Garros semifinalist Marco Cecchinato. Australia’s Next Gen player beat Vasek Pospisil 6-4 7-6 (7-4) to claim his second win over the Canadian player this year.